This looks amazing, isn't it? With this new adwords extension, web domain related businesses like backlink checkers, website testers, domain registrars etc will all have a good time and generate even more leads. This new extension was tweeted by Cyrus Shepherd of Moz. 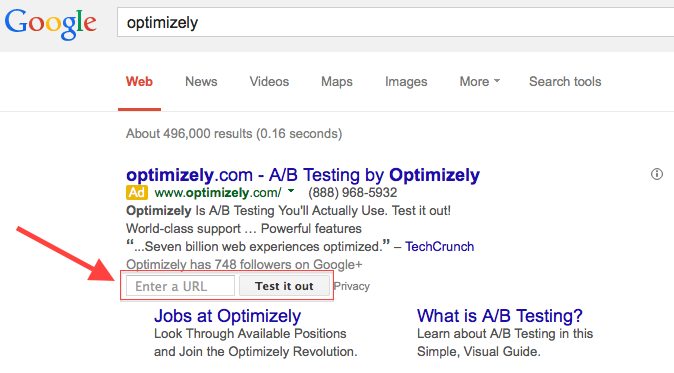 Currently, this ad is in testing status and was used by Optimizely. Might be in future more and more businesses will be using this extension in order to generate ROI. What are your thoughts on this new extension?